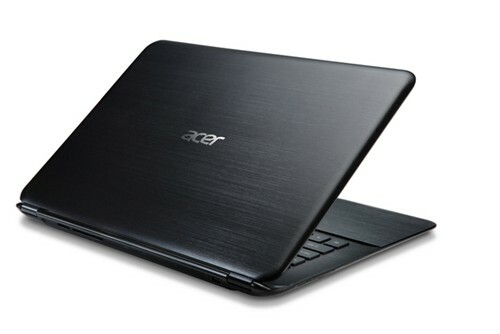 Acer's Aspire S5 Ultrabook contains innovation and plenty of speed. The model we looked at was equipped with a Core i7 CPU and two solid state drives in a RAID 0 configuration. It's an ultraportable that's suitable for anyone who wants great overall performance in a small package but it isn't perfect. Its screen could be better, its keyboard isn't backlit and its battery life was a little too short in our tests. With its $1400 price tag, the Acer Aspire S5 is certainly aiming to be a premium level of ultrabook design and it does succeed quite well in some areas such as its performance and thin and light profile. The problem is that there are a number of gimmicks and shortcuts that make it a less than outstanding choice for a high end ultrabook. Acer, the creator of the world's first ultrabook, the Aspire S3, has jumped on Intel's new generation of processors to expand its catalogue with the Aspire S5. This 13.3" ultrabook is one of the fastest and most responsive of its kind. However, it gets only 4 hours of battery life, there are a few issues with the finishing and the inferior screen brings its overall score down to three stars. With the Aspire S5, Acer has the slimmest 13.3 inch ultrabook on the market and also one of the fastest, but they fail to address some of the other important aspects of a proper ultrabook: the screen, the keyboard and the battery life. The Acer Aspire S5 certainly offers strong performance and a beautiful design, but it's a mixed bag with strange design quirks and several features that fall flat. Frankly, the biggest issue with the Acer Aspire S5 isn't the MagicFlip panel, or any of its other design flaws—it's the price. At $1,400, this is one of the more expensive ultrabooks on the market, but aside from a marginally thinner profile and a Thunderbolt port it fails to deliver the features or experience you expect in that price range. Compared with the Editors' Choice Asus Zenbook Prime UX32VD-DB71, which offers better performance thanks in part to a discrete GPU, it's hard to give the Acer Aspire S5 anything more than a lukewarm recommendation. If you're looking for an Ultrabook with the superslim good looks of a MacBook Air, enough computing oomph to handle multimedia and general business tasks, plus a good-enough battery life, take a long hard look at the Acer Aspire S5. The price premium here is ultimately what may be the bigger hill to climb. The $1,400 price tag is justified given the extra storage capacity, but it’s still tough to swallow when competitors’ ultrabooks can be had for under $1,000. Now if only that hatch would open and close as fast as the Aspire runs Excel. 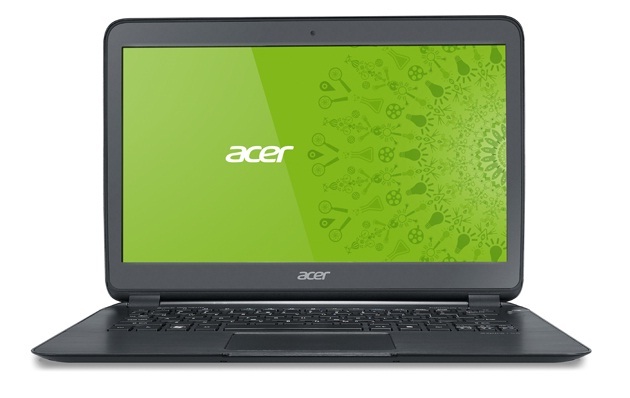 The Acer Aspire S5 is one of the top ultra-portable laptops, packing genuine power. If you're looking for a primary laptop that can handle the rigours of everyday life, but be as light and svelte as humanly possible, you've found your ideal laptop. Be warned, however. The niggles and inconvenience of the MagicFlip hatch, the slightly dubious durability and average specifications - aside from the magnificent processor - mean that the buyer who wants it all might be advised to suffer a few more grams. Acer Aspire S5 review: is this innovative Ultrabook worth $1,400? The Aspire S5 has some key ingredients that might have made it a great Ultrabook: a thin shape, an impressive port selection and blazing I/O performance. 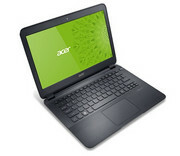 Unfortunately, though, Acer seems to have invested its energy in all the wrong places. Instead of a higher-resolution display or finer build quality, it focused on stuffing all the ports behind a door in the back -- a design choice that feels gimmicky at best, and tiresome at worst. The Acer Aspire S5 is an odd duck. It is extremely thin and provides excellent performance in some areas. We’re unaware of another Ultrabook that can match the Acer Aspire S5’s hard-drive performance, and most Ultrabooks also will be dusted by its Core i7-3517U processor. But then we look at the price. Whoa, $1,399 is a lot of dough – and the S5’s design comes nowhere close to supporting it. In short, this ultrabook is one of if not THE thinnest notebook you’re ever going to want to own, and with a look and feel like this, you’ll have a great time picking one up. The pricing is a bit concerning when compared to other ultrabooks on the market right now that can do essentially all of the same things this one can at just a bit larger a cost in the actual physical size department. But consider this: you get what you pay for, and if your aim is to grab a thinnest-in-class yet high-quality notebook with power enough to play top-quality games and work all day long on web and local-based type-heavy tasks on Windows, you’ve got the best there is right here. Batman aside, the Acer Aspire S5 will appeal to two groups of people: those who want the slimmest ultrabook—at 0.6x12.8x8.9 inches, this thing out-flattens even the MacBook Air—and those who want the swiftest. For the former, or as an executive status symbol, the S5 has no real competition except for the Samsung Series 9. 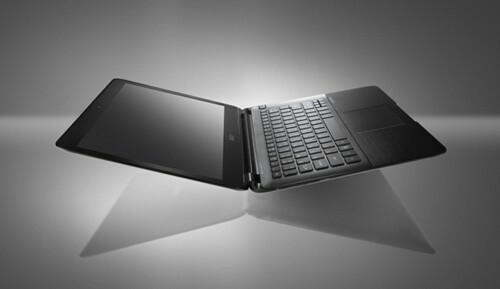 For the latter, it's the fastest ultrabook Computer Shopper has tested.